At AltSchool, everything we do is geared toward a whole-child, personalized approach to education that fosters student agency. To facilitate this, our educators work to develop all parts of a child—not just their academic abilities—and to create experiences that are tailored to the specific learning abilities, needs, preferences, and interests of individual students. Our ultimate goal is to empower students as creative, resilient, inquiry-driven citizens who are able to self-advocate, develop strong relationships, navigate complex information, and drive their own learning in diverse environments beyond the classroom. AltSchool educator Jaqi Garcia shares what her class of fourth through sixth graders is working on now. Read more about how AltSchool utilizes technology to enable goal-setting and assessment. Our class started a project in October on immigration histories of Manhattan, with a focus on non-dominant perspectives. 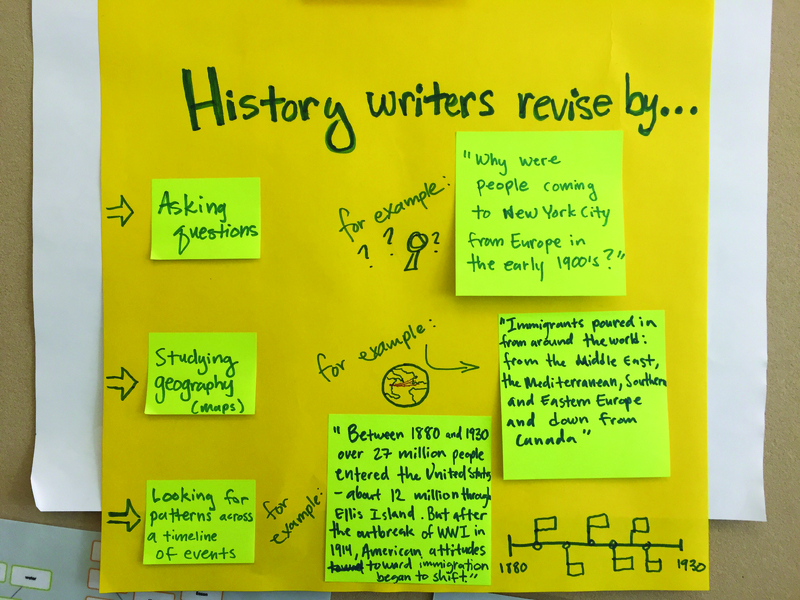 New York City has a rich history of immigrant communities, so it’s relevant for students to understand the space they inhabit. Understanding the historical context of the area and how it affects where we live today is an important concept for students to grasp. And as we began the new school year, it also provided a great opportunity to orient students to our surrounding community. As an educator, I’m always looking for ways to focus on the whole child by integrating non-academic and academic skills into projects. Global citizenship, cultural competency, and perspective taking are three non-academic skills that were key to this project, because learning about different cultures helps students develop a number of essential life skills. 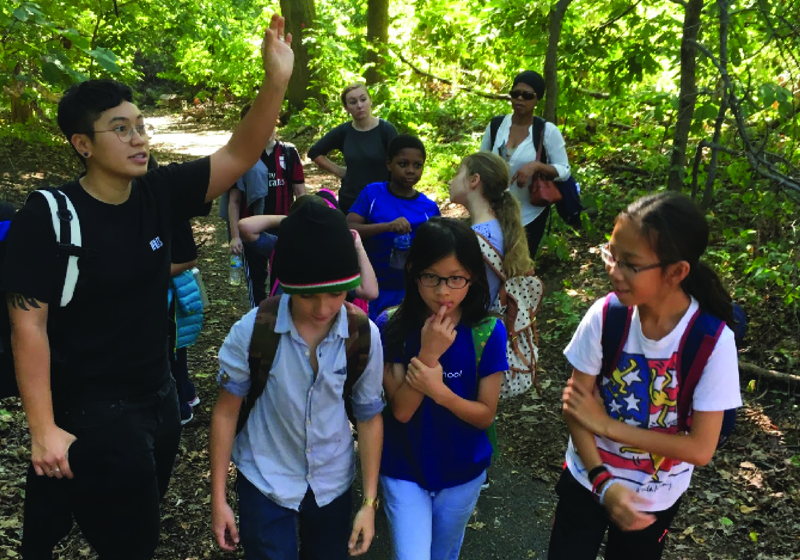 On the academic side, students learned about history, ecology and English language arts by investigating lesser-known histories of people who shaped the land, studied early ecology and resources of the landscape, and wrote essays comparing and contrasting topics ranging from immigration through Ellis Island to the underground railroad. Another goal was to personalize the learning experience for students. The essential question we posed in relationship to this project was, “How does distribution of power effect the lives of immigrants?” We learned that 40 percent of New York City’s population is foreign born. I sought to help students develop their own uniquely personal perspectives as they examined their familial geographical histories in order to understand how their own lives and the lives of others have been effected over time. Read more about how whole-child learning fits Our Vision for Lab Schools. Two students in the class are foreign-born, half the class has parents who are foreign-born, and the entire class has at least one grandparent who was foreign-born, so this project presented a valuable opportunity to make learning personally meaningful to each and every student as an individual. One student was particularly excited to explore his family history by writing about Cuban immigration to Manhattan! Throughout this project, we will cover history, ecology, science, writing, perspective taking, critical thinking, compassion, ethics, and more. We’re currently working on map-making, where learning is personalized based on students’ interests. For example, some students are interested in mapping what Manhattan looked like in the 1600s, while others are creating graphic representations of their neighborhoods, comparing the past to present day. We’ve also explored the local community through field trips to the Schomburg Center for Research in Black Culture, Ellis Island, and the Tenement Museum. Students understand that immigration is a big part of what built New York City and our country, and they are able to relate conversations about current issues to what happened in the past.I’m really impressed with the depth of knowledge that students are developing, how engaged they are, and how they’re able to understand the relevancy of historical events in today’s world. Students feel empowered by learning historical information or reading an article from the newspaper and being able to form an opinion on it. It’s also been interesting to see the roles students have taken on: One student asked to write an argument-based research essay and has taken on the role of a historian. 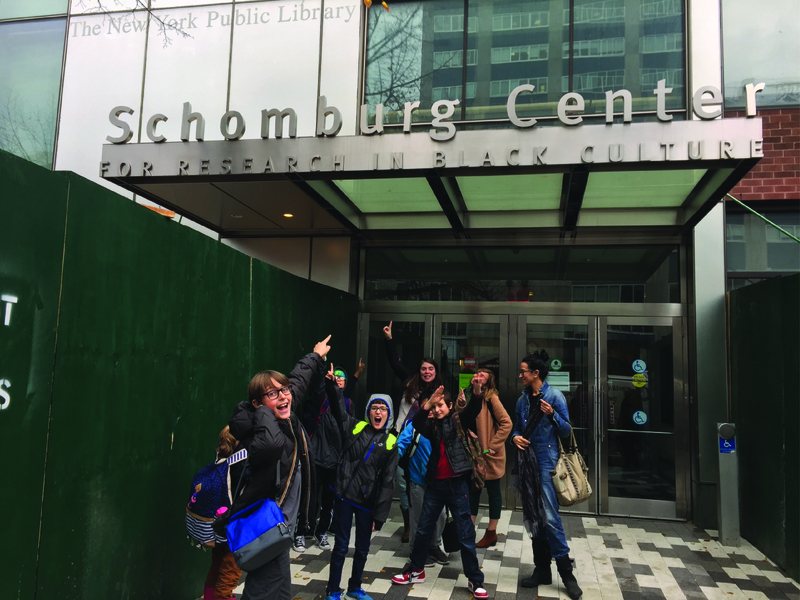 Students really enjoyed their trip to the Schomburg Center for Research in Black Culture, and have continued exploration with their families. A number of students have been moved to watch documentaries on the various topics we’ve discussed on their own time. Students have also asked their parents to take them to the library to check out more books on these subjects. As an educator, it’s incredibly rewarding to see students develop deep curiosity, seek out information independently, and drive their own learning outside of school.